Sen. Rand Paul (R-KY), a leading ally of President Donald Trump’s in the U.S. Senate, told Breitbart News exclusively in an interview in his office this week that at least six million U.S. jobs are at risk if President Trump does not pull out of the leftist Paris climate deal. I think it would be terrible for our country. We have the potential of losing 6 million jobs and it would cost $3 trillion. Really, I don’t think President Obama had the right to do it. He did it by himself without the approval of Congress. One of the problems we have in government is we let one person have so much power that he could do something that could cost 6 million jobs and nobody gets to vote on it—I think that’s outrageous. It kind of looks like a treaty. If it’s a treaty, it should come to the Senate and be passed. But I think President Trump has the ability and he indicated during the campaign that he wanted to get rid of and get out of the Paris accord so we hope we will. We have introduced a resolution to send it to the president to encourage him to get out of the Paris accord. 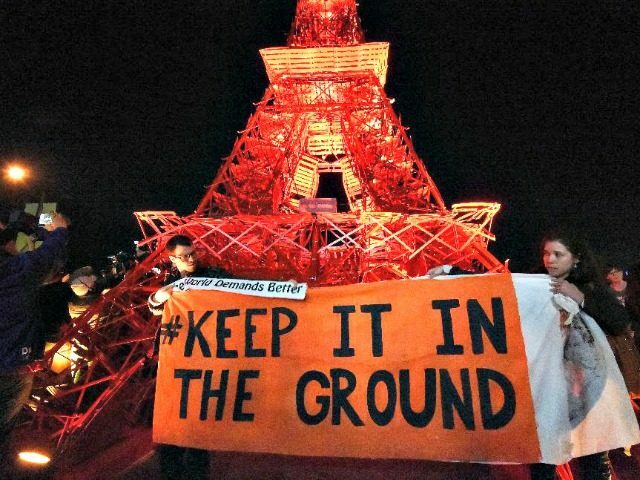 President Trump promised the American people during the 2016 presidential campaign he would pull out of the Paris deal since it is a job-killer. Paul was not sure why Trump has not yet pulled out, since it would be very easy for him to do so to unleash the U.S. economy and protect jobs, but he said Senate Republicans stand ready to back up the President when he does pull out of the deal. Paul’s interview with Breitbart News on this front came as a group of 22 Senate Republicans including Paul and Senate Majority Leader Mitch McConnell wrote to President Trump this week urging him to pull the United States out of the job-crushing Paris climate deal. In the letter, they detail how the institutional left—Trump’s sworn political enemies—are using the deal to gain power. Paul, in his interview with Breitbart News, adds that the deal helps benefit other countries like China at the expense of the United States—something Trump ardently campaigned against. Paul also wrote an op-ed in Fox News about this topic.